I climbed Mount Teide Tenerife several times in the past. You may read about this in another page and in a post. But I decided to climb it solo again, so this was my third overnight climb. 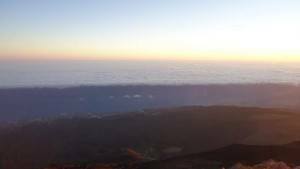 The reason for doing this again is that in the previous two attempts I did not manage to capture the exact moment of the sunrise, and the appearance of the shadow of Mount Teide across the Atlantic. I was late for about 20-30 minutes, so the shadow was there but a bit shortened. Not this time – this was my firm decision. To get to El Teide I had to rent a car. The person in the agency was curious why I needed it overnight, so I explained. Then she asked, not completely joking: “Are you normal?” Thank you for asking Asi, frankly speaking, I am not so sure about the answer. Anyhow, I drove from Santa Cruz, set off at 22:30, and I was at Montaña Blanca parking in the great crater at midnight. So I started walking immediately. The parking is at around 2350 meters above the sea, and Mount Teide summit is 3718 meters, just to have feeling about the height difference. In the beginning, for about an hour, the moonlight was so strong that I did not need a torch. But after that, it became very dark. So stars and The Milky Way were better visible than ever, especially in view of the altitude. There were no winds at all, and imagine many hours of walk in something that could only be described as a total absence of any sound whatsoever. I had plenty of time and I knew it. It was on purpose, I wanted to be sure not to miss the moment. So I did not push much, and frankly speaking, I am not sure if I could. I was sleepy and tired, especially after 3 in the morning. There were two lights above me on the mountain, some people were moving up at a distance of around one hour climb. It was a pleasant feeling realizing that I was not the only fool out there. I arrived at Altavista hut (3260 m) at 4 AM, and I saw the two people sitting in front of it in the darkness, no lights in the huts at all. It was cold and they were obviously suffering from it. But just like me, they realized that it was too early to continue to the summit. They did not speak English, and my Spanish, well better not to mention it. Later lights in the hut were on, and through the window, I could see people getting up. I walked around to warm-up a bit, as I was shivering quite visibly and could not control it. To my surprise, I realized that a few youngsters were in blankets behind the building, sitting on the ground by the wall. I asked why, and got an answer that it was too hot inside and that they could not sleep. Now imagine, I was shivering all the time and I would give everything to get inside. Eventually, the door was open at some point, so I indeed got in. It was so pleasant as compared with the outside. I stayed there for almost one hour, till 5 AM, and then decided to move on, still had plenty of time; the sunrise was scheduled (by the highest authorities) on 7:22. 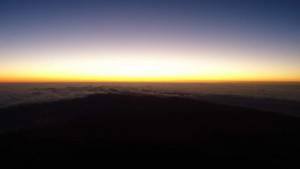 I arrived at the summit as a first person that morning, with yet another 40 minutes to wait before the sunrise. At some places, there were warm gasses (a lot of sulfur, so imagine the smell) and steam coming from inside the mountain, so I tried to get my hands warm a bit as gloves could not help. It helped and I felt better. I even warmed my coffee which I was carrying from Santa Cruz in a bottle. 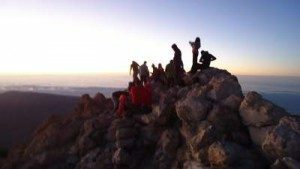 Indeed, on the summit of El Teide you might cook for free! Soon many people arrived from the hut, and we were more than 20 on the summit. Many girls and boys, in a great spirit, singing ‘E viva España’, the atmosphere was great. The east was changing colors, and then there was a magic moment. A tiny orange dot first and then it became an orange disk. The Sun was there, rising behind the sea of clouds. 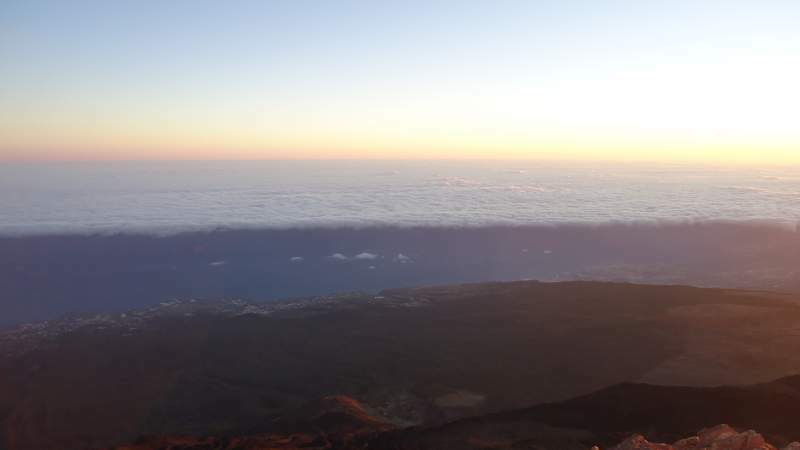 In that same moment, the shadow of Teide was appearing in the west, first just the top of the cone, hardly visible, and then it was a complete shadow extending along the Atlantic. I heard youngsters delighted shouting “how romantic” and such thing. It was a magical moment, although rather noisy after the night of quietness. I hope you will realize this from the photos. 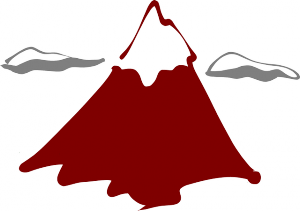 I told the youngsters that I had a site about mountains, and that I would put this on the site so I wanted them to remember and have a look. I promised to have it there ‘by tomorrow’. I doubt that they would remember the name of the site, but here is the text, a promise is a promise. I greatly appreciated the fact that later many of them descended all the way back to the road, instead of going to the cable car. Youths in great spirit, waiting for the Sun. I descended the same way back, and had a quick nap in front of the hut. It was so pleasant in the morning Sun after such a cold night. Then I continued my descent. So after full 11 hours of walk up and down, I was back at the car, and I fall asleep immediately. About 20 minutes later I started driving. But after about 20 kilometers I had to stop again and take a nap. This helped, and in the end, I was safely back. I hope you like this text. If this is so, do share it on your favorite social media, and leave some comments in the box below. I shall be happy to read them. We planned our Tenerife trip for months and would never image, that we could not climb up to the peak of Teide due to the bad weather. We had one week to play with the dates but it was hopeless. Having visited Teide National Park three times during our stay, I can say it’s gorgeous and really like landing on the moon. It’s a pity that all hiking routes were closed, which is very rare around there. But it is understood, because when we departed from the base there was a huge wind with snow shower. We would have stayed at Altavista Refuge, they felt sorry and gave a full refund of our booking. It took some days to digest, that we weren’t able to change the situation. Hi Brigitta, this was a bad luck indeed, it rarely happens, there can be snow on Teide but it never stays long. But it was a wise decision, the mountain will be there till next time. I can imagine your disappointment. I am surprised to read that you do not speak much English. Your words describing this magical journey were almost poetic. It is one of the few times that I’ve read something where the written description was better than the nice photographs. I’m not sure that I would like climbing in the middle of the night. Yet, the sunrise from the top is something photographers dream of witnessing. The “youngsters” as you call them looked like they were having a great time also. Best wishes and I hope you have an amazing hike planned for this year. Thank you Sondra, very kind words and I take them as the best compliment I could have. Those were truly magic moments for me, this is one of my most memorable tours, and I am really happy if this can be felt and seen in the post. You are welcome. 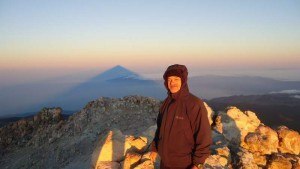 It is a pleasure to read about your mountain climbing stories. That’s not only a great experience but a great story to tell. Savor every moment as I’m sure you try to do and definitely keep safe. Climbing mountains is what many love to do. If that’s what makes you feel good keep it up. don’t stop! you will be in a great mood every day. Thank you Andrew for such kind and warm words. You understand it well. You are right, this is what makes me feeling alive. All the best to you. I am just so glad I came across your site! I love it! Hi Spela, many thanks, great to read your comment. I am really happy to see that you enjoyed the text, English is not my native (it is Serbian) and I cannot express myself the way I would like to. This was one very emotional climb for me, and it is great if I managed to show how I felt in those hours on this beautiful mountain. It brings me to tears when I think about it. I have heard the same about mountaineers, but then when you go there and see how many people enjoy climbing and beauties of mountains, you simply do not care what others, who know nothing about it, may think. By the way, my first true climb was in fact in Slovenia, Triglav in 1987. I followed Tominsek route and descended over Prag. Later I did it again following Bamberg route. I always admired your people for their mountain culture. Hello! 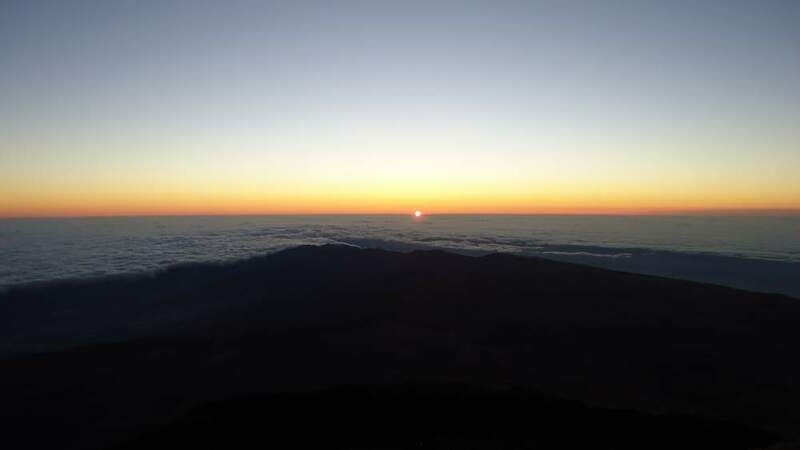 Congrats on the summit and awesome sunrise! Hi Olga, great to hear from you. As you elaborate in your question, yes you need a permit, but guards come (and go) with the first (the last) gondola. So after 5 pm till 8:30 am (or perhaps it is 9 am) there is nobody to check your permit. If you ask me, the mountain does not belong to anybody. If it is illegal overnight I simply could not care less. There is nobody on the mountain overnight except muflons. Though I had permits a few times yet there was nobody to check. For permits please see my another text about Teide mountain. It is easy to do online, free of charge, but there may be no free terms well over one month in advance. They limit the number of people there “to protect the mountain” (if so they could remove that ugly lift system which spoils everything). If you arrange for an overnight stay at Altavista hut, then the permit is included. Here is my another text for a different route, you might like it. All the best to you. Wow! That looks like an exciting trip. I am jealous of your view and experience. The pictures you have look amazing, but i’m sure it was even better in real life. I am wondering how you begin to prep for a trek like this? What kind of food and equipment do you bring? Hi Lucas, I did not have any special preparing, just packed my rucksack with 2-3 liters of water and some small amount of food for the overnight tour, spare warm clothes. In half an hour I am normally ready to go, nothing special. Choice of images is excellent, sunrise (or sunset) view is eye-catching for newcomers. Content is very informative about the various mountains that the OP visited. The climbing equipment page is detailed, and broken down. Great information about huts and shelters located on the Alps, makes me want to go out and explore mountains myself. Many thanks Lakan. Your kind words mean a lot to me. There’s really nothing else like summiting a peak you’ve planning for for months, is there? It usually starts months in advance, then finally the travel to get there and the anticipation, and then all the physical hardships we endure to finally summit. But when you’re out in that perfect clean air, looking down at the world below…for me it’s pure magic. All your tiredness just melts away as you soak it in. Great write-up. If I can’t visit El Teide myself, this is the next best thing. Thanks again Jovo for documenting your trips! Thank you Colin, clearly you are able to understand the feeling and you are doing such things at your side. You are right, every moment in the process is great, planning, anticipation, realization. Magic is right word and I like the fact that you are using it. I have experienced it on Mount Teide in every climb I did there. Ah, what better then going into the mountains for awhile and hiking them and then at the end of a long day setting up tents and enjoying a fire fed meal. Really nice use of the map on your site. It ties in nicely with your overall theme. It makes me want to go camping again soon. Thank you Chris for visiting my site and for the comment. If you got desire to go to mountains then my text has fulfilled its purpose. I am happy about it. Great pictures. Your first with the sunrise was beautiful and I love the one above the clouds. Someday I want to travel the world and El Tiede defiantly looks like a great spot to see as well. Just climbing the mountain three times must have been a joyous accomplishment. So, when you climbing it again? Hi Brandon, great to see your comment, many thanks. In fact I climbed it 4 times, but I am going to do it again, probably in the Autumn. Wow! I understand why you went back up for a 3rd time. 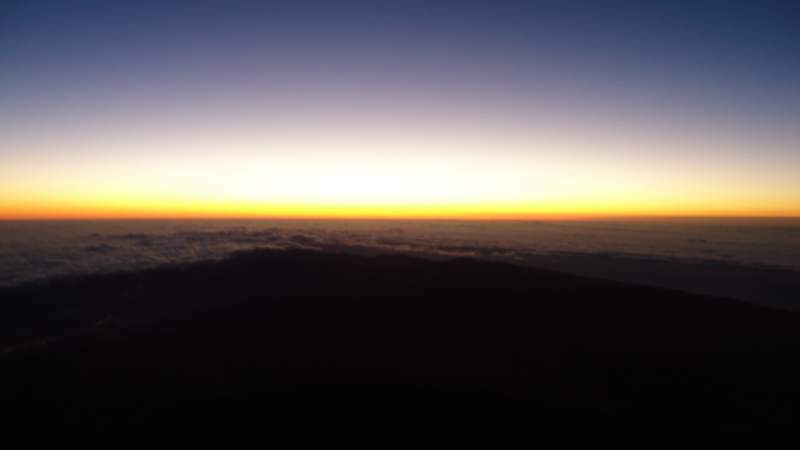 The sunrise from the summit, is surreal. It must have been very peaceful a night, to see the moon and the stars and then to watch this beautiful sight awake before you. 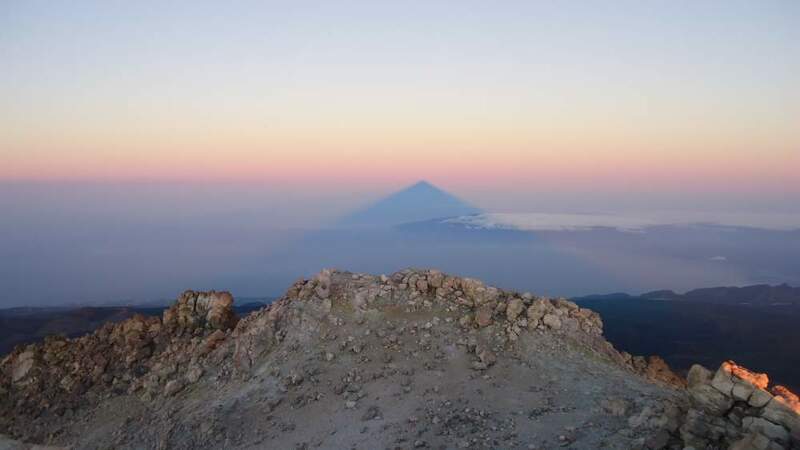 The image entitled “Shadow of Teide” has to be one of the most beautiful things I have ever seen. The sky seem to be holding a ghostly secret. It must have been even more memorizing to see from up close. Hi Catherine, many thanks for reading my text and for this great comment. 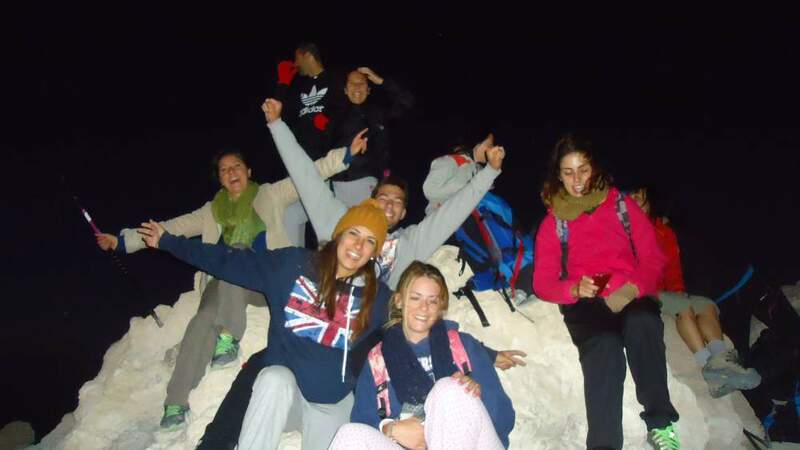 That was one of those nights in mountains which will stay forever with me. The shadow was appearing like in classical photography when the picture appears in the process of developing a photo, simply unbelievable. Thanks again. Thanks for the pictures. It truly is amazing and I can see why the mountain has called you back so many times. I think I would feel quite small on that mountain as I watched the sun risea and the mountain’s shadow project across the ocean. 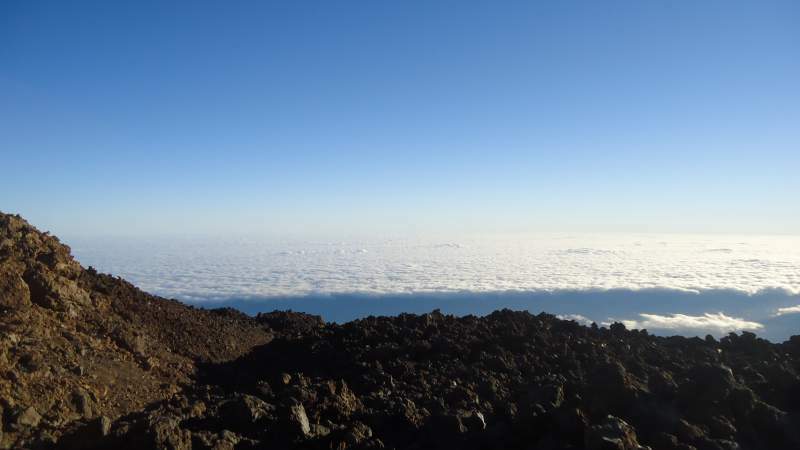 I wasn’t sure where El Teide is, so I looked it up and found out it’s in the Canary Islands. It might be helpful to post a map showing where El Teide is. Hi Gary, it is a pleasure to read your comment. Thank you for the hint about the map. in fact it is available in another page about Teide, but I am going to add it here as well. Many thanks. I can see why you persisted in your adventure to Mount Teide Tenerife. The pictures you took are breathtaking and the way you describe your journey to the summit makes it so realistic and visual. Thank you for sharing this wonderful and successful journey to see the sun rise. Hi Lis, great to read your comment. So you realize how wonderful this journey was. I am sure I shall never forget it. Many thanks.